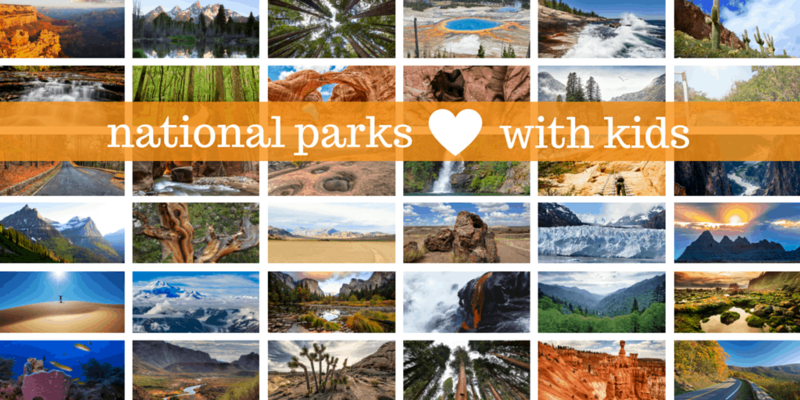 Trekaroo loves national parks. And there is really no better way to immerse your school-aged kids in the glory of our national parks than by completing Junior Ranger Program, available at most national parks and monuments across the United States. 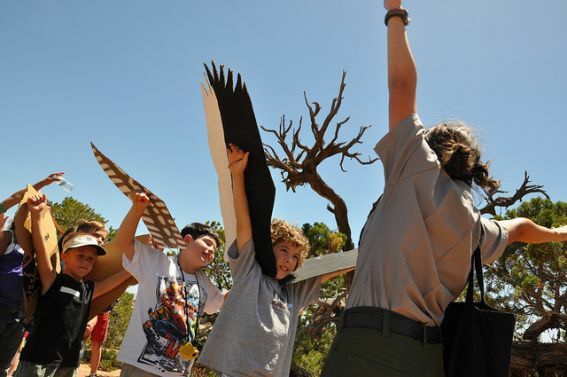 The Junior Ranger program is a hands-on learning opportunity for kids visiting national parks and monuments. Designed to encourage exploration and discovery for children, the free program is the perfect way to inspire your children to explore, learn, and protect while visiting our nation’s national parks and historical monuments. Program age requirements vary from park to park, but in general, children ages 5-13 can participate. 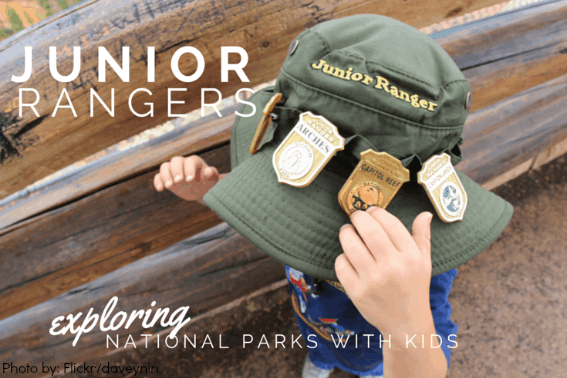 Some parks offer a Junior Ranger, Jr. program for kids as young as three, and parents are always encouraged to help young kids complete as many activities as possible, no matter what the age. The length and intensity of the programs also vary from park to park and from age to age, with more complex and thought-provoking assignments geared towards older children. My girls, for example, completed the Junior Ranger program at Grand Canyon National Park in just one short afternoon, while it took them nearly three days of busy and active work to complete the program in Yellowstone National Park. 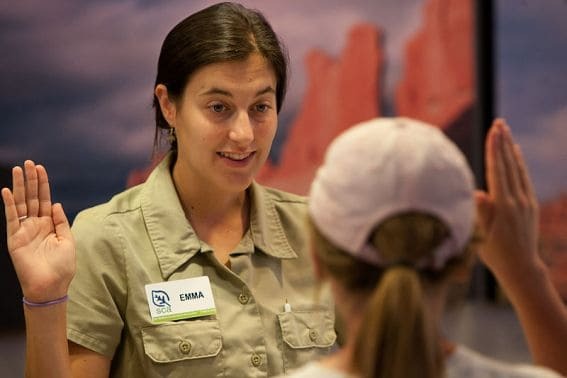 In addition to the book-work activities including puzzles, word searches, matching, fill-in-the-blanks, and lists of items found in the park, most programs require Junior Rangers to attend ranger-led programs in order to receive their badge. Although attending ranger-led programs can at times be tricky with scheduling, I highly recommend them. Some of the most enduring lessons my children have learned in the program have been based on the hands-on instruction offered by the rangers during their unique programming. 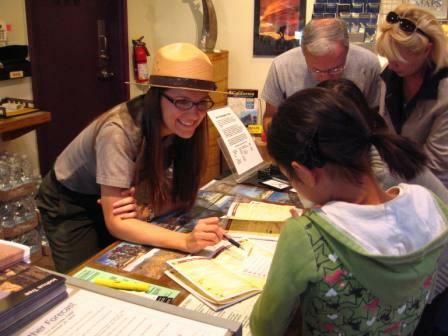 Note: Junior Ranger booklets can be picked up in most park visitor’s centers; some parks allow families to print a copy at home to get a jump start on the workload required. By completing the Junior Ranger booklet and attending the required programs, children can earn the coveted Junior Ranger badge, an exceptional souvenir for a national park visit. Children will complete a ranger-led mini-ceremony to receive their badge, including repeating a pledge to protect our park’s natural resources. Even if a National Park vacation is not on your immediate horizon, your kids can learn about parks all over the country through the WebRangers Program. 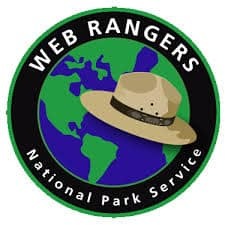 There are more than 50 games on the WebRangers website that are designed to educate children about our National Parks. The games range from “Name that Yellowstone animal” to reading a map to playing park superintendent. I spent a few minutes playing the games and had a very time pulling myself away from the site! Kids who complete the WebRangers Program earn the coveted WebRangers badge. I picked this post because it hightlights some kid friendly adventures at the San Francisco Maritime Historic Park, a national park. Fort Point is also a great national historic site in San Francisco to explore. Only 1.5 years and our kids can become Junior Rangers. Awesome. I just found out about Junior rangers on our last camping trip. The Ranger was so nice and gave our kids stickers and my older daughter got a packet to keep her brain occupied with puzzles and she got a whistle when she finished the packet and gave it back. Very cool! We love the Junior Ranger program! This travel essay features one of my favorite photos of my kids getting their badges! I’m so excited because this is the first summer my oldest (now 5 1/2) can participate in the Junior Ranger Program at Yosemite National Park. Woot! Woot! We’ve got our camping trips lined up for the week after school gets out. Sounds like I best look up Junior Rangers to see how we can work it in. Thanks for the information!